If the fact that the word “Disney” is now attached to Charles Dickens’s classic A Christmas Carol has got you down, chin up. Even latter-day Scrooge Robert Zemeckis and his mega-budget 3-D movie can’t cancel the spirit of this timeless story-at least not while John Blondell’s Lit Moon Theatre Company is around. Running now for its third consecutive year, and returning to Center Stage after last year’s Tea Fire disrupted its run, Humbug! is an ingenious and delightful version of Dickens’s tale that centers on the strength of the language-not special effects-to create holiday magic. 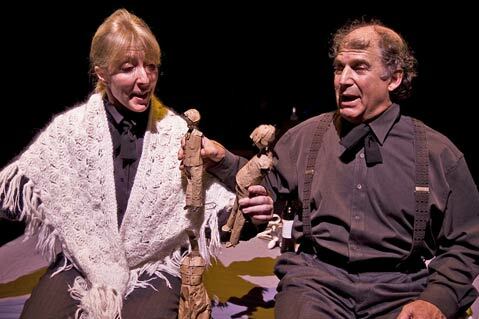 Some compelling, decidedly low-budget puppets created by rising theatrical design star Jaco Connolly will join the small cast, which includes Sarah Halford, Victoria Finlayson, Stanley Hoffman, Kate Paulsen, and Jim Connolly. Lit Moon’s Humbug! is at Center Stage Theater (751 Paseo Nuevo) on Saturday, December 12, at 4 and 7 p.m., on Friday, December 18, at 7 p.m., and on Saturday, December 19, at 4 and 7 p.m. For tickets and information, call 963-0408 or visit centerstagetheater.org.